Mike Brooks, Marketing Manager at CP Electronics explores the risks associated with poorly lit workplaces, the effect it can have on staff and the solutions on offer to combat this. Effective lighting in the workplace is crucial to the safety and wellbeing of employees. This one seems obvious to those working in office-based environments but can be particularly important to businesses operating outside of ‘normal’ working hours, in outdoor spaces, or within manufacturing facilities. The dark or industrial nature of some workplaces can provide a significantly higher risk of falling or tripping. It is therefore important that lighting is positioned in a way to combat dim areas or that the lighting provided is bright enough for visible hazards to be identified. To move safely within separate rooms and spaces, lighting is sometimes controlled by users in a way whereby it is not switched off entirely but instead dimmed as a percentage of its maximum capability. Defined as ‘difficulty seeing in the presence of bright light such as direct or reflected sunlight, or artificial light such as car headlamps at night.’, glare is essentially unwanted light which leads to discomfort or total disability in vision, known as discomfort glare or disability glare. Glare can be caused by artificial lighting within the building, on the building’s exterior or by natural daylight. The ambient level of luminous emittance stands between 350 and 500 lux, however daylight alone can reach heights of 50,000 lux. As a result, a combination of natural sunlight and artificial lighting can lead to glare with people suffering from headaches, eyestrain or sight loss as a result. Veiling reflections are high-luminance reflections which interfere with vision or the detail of a task. This could include reflections on monitors, metallic equipment or lighting contrasts on the pages of a book. As well as impacting on performance and causing discomfort, people can often be compelled to make improvised (and often unsafe) shading solutions to combat the distraction of veiling reflections. It may sound like a fabricated condition, but Sick Building Syndrome is a genuine illness recognised by the NHS. This is the name given for symptoms a person may only experience in a particular building. In addition to inadequate ventilation, stress and uncomfortable temperature, Sick Building Syndrome can also be caused by bright or flickering lights. Unsuitable lighting can lead to dry or sore eyes, tiredness, difficulty concentrating and headaches. Overnight rooms can be controlled by balancing light with daylight (maintained illuminance) and for blind control. As well as being able to identify the obvious trip hazard running across the floor of an office or preventing staff from falling down a flight of stairs, it has been argued that insufficient lighting can drastically alter a person’s physical and mental health. Research that explores the relationship between lighting and wellbeing began in the nineties and it is now accepted that the potential health risks associated with lighting boil down to a phenomenon known as ‘circadian rhythm’. The circadian rhythm, known more commonly as a ‘body clock’, is the internal body clock that regulates the level of drowsiness one experiences at specific points throughout the day. In addition to sleepiness, the circadian rhythm is partly responsible for mood, happiness, comfort and both mental and physical health. The portion of the human brain which controls the circadian rhythm is known as the ‘hypothalamus’ – and because the hypothalamus is connected to your eyes, it is heavily affected by changes between day, night, light and dark. With lighting affecting the body and mind so dramatically, innovative solutions are often required to ensure businesses are putting the wellbeing of their people first, while subconsciously eking out maximum productivity. There are even some surprising financial gains to be taken advantage of! For example, you’re based in an office with south-facing windows and ceiling lights. On a cloudy and windy day, the level of direct sunlight in the office will differ frequently throughout the day. A lighting control specialist will be able to provide technology to ensure ceiling lights are able to adapt to the level of natural light entering the building. By incorporating switching and dimming photocells into a building, lighting can be dimmed or turned on/off entirely, depending on the amount of natural light detected. Obviously, light fittings that are constantly flicking on and off would be highly distracting. These detectors can cope with frequent changes by using time delays and smoothing functions to ensure the office remains at a maintained level. 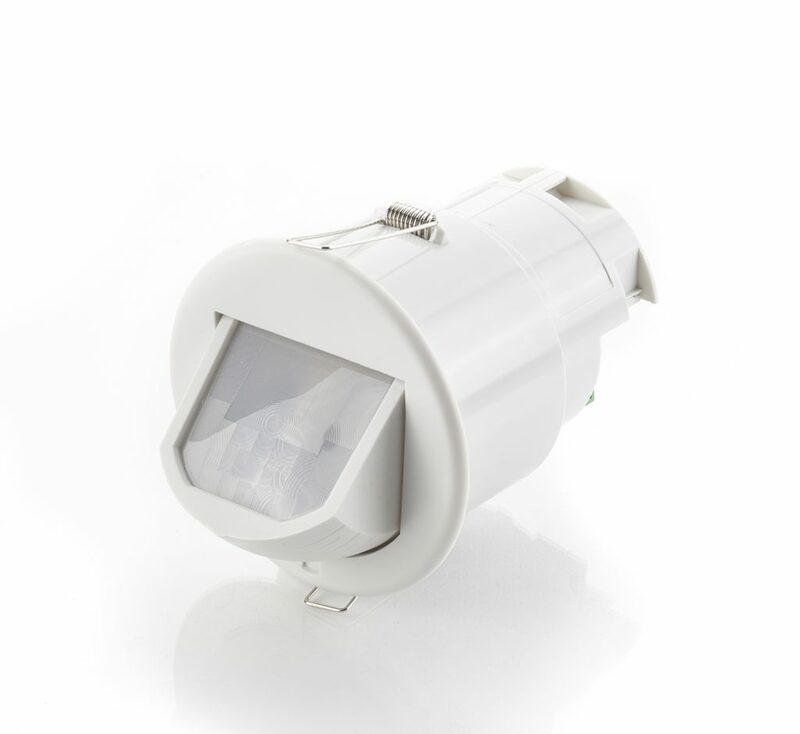 Automatic dimming sensors can be installed as a standalone product or as part of a fully addressable system. By making the most of natural daylight and reducing the need for artificial lighting, the environment improves, and utility bills are slashed. In addition to improving productivity of those in the workplace, studies have demonstrated improved recovery from those in surgery, boosted sales in the retail industry and even a positive effect on test grades among students. Lighting controls can also combat accidents in the workplace. 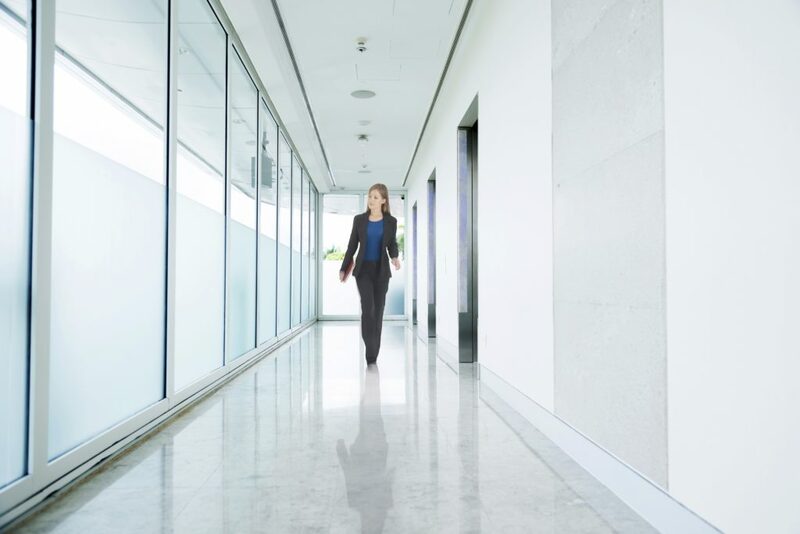 By fitting presence and absence detectors in each room, rooms are automatically illuminated from a dimmed level when somebody moves into a room to prevent tripping and other accidents caused by lack of vision. Likewise, the lights will be switched off when it is empty, offering businesses a green solution that guarantees a speedy return on investment. 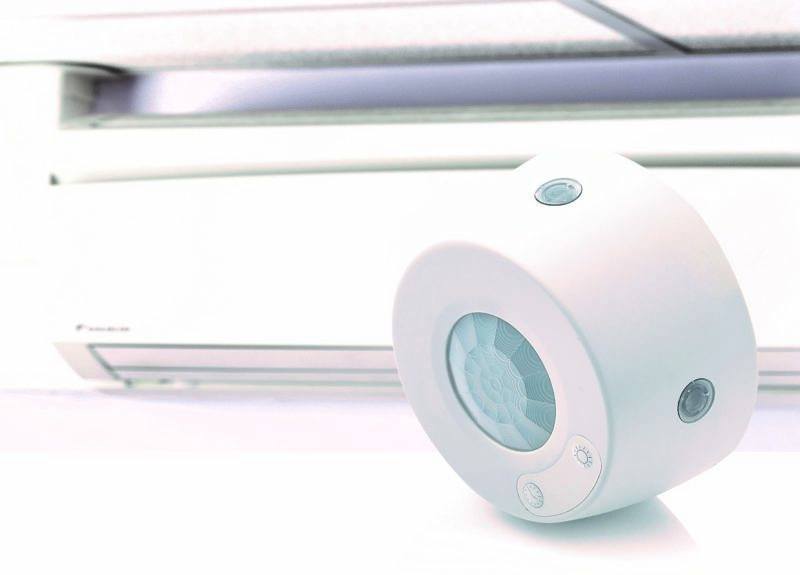 In addition to basic illumination, using dynamic lighting control systems to change colour temperatures can affect human behaviour and wellbeing. Research suggests that higher colour temperatures suppress melatonin and boost attentiveness. A combination of ‘tuneable’ LED lighting and an efficient lighting control solution can alter the amount of white light emitted by luminaires and, in more complex systems, can even manipulate the circadian rhythm of a room’s occupants. While an increased amount of white light in a room is largely accepted to improve health and wellbeing, it is still a controversial topic. While studies have suggested that daylight can affect mood, health and test scores, most have not been able to demonstrate a quantifiable relationship between them yet. Despite this, we’re increasingly speaking with customers that place the wellbeing of their building’s occupants high on the agenda when considering lighting control solutions. Traditionally, cost savings have driven demand in lighting control solutions, but architects, facilities managers and specifiers are now realising the positive effect lighting can have on productivity.